Generally I don’t like personal labels. But there is one categorization system, the Myers-Briggs personality type test, which I have found extremely useful in better understanding not only myself, but also those with whom I interact. According to the developers of the test, there are 16 personality types. You may already know what yours is (it would consist of four letters). 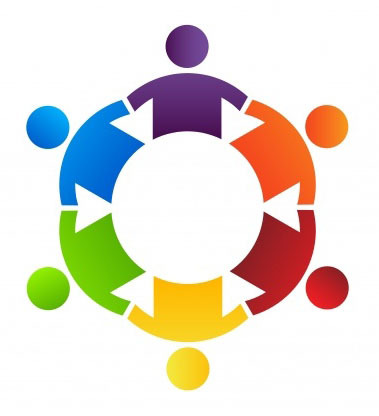 The Myers-Briggs assessment is often used in corporate settings for team building and leadership development to enhance awareness of oneself and the diversity of others’ approaches to work and life. My personality type is the INFP (Introverted, i(N)tuitive, Feeling, Perceiving). I’m going to talk a little later about what those categories mean. I’ll also provide a link at the article’s end to a site where you can easily take the test online and discover the significance behind your personal letter sequence. But first I’ll use my own type, the INFP, as an example. When I took the test seven years ago, I learned that those sharing this personality type often go into writing, counseling, and healing professions. It was affirming that my career choices to date had been a good fit for my disposition. Learning more about the INFP also gave me helpful insights into how I interact with others, process information, make decisions, and express myself. I’d actually first taken the Myers-Briggs many years ago in a workplace setting. But I got a substantially different result than INFP because I answered the series of Yes/No questions with responses that I felt would best meet the expectations of a boss who didn’t seem to value people who were much different than her. So naturally when I read the overview of the type given, it didn’t sound very much like me. I didn’t understand at the time that there are no “bad” personality types. You probably wouldn’t even want everyone on a team to be a similar personality type as that former boss of mine seemed to desire. As a new supervisor, she hadn’t yet had any management training and didn’t seem to understand that everyone brings something different to the table. For example, those with the ENFP type are known for their inspiring attitudes and big-picture perspectives. They tend to be great at getting the ball rolling (they’re “starters”), but they often need others to help handle the details (“finishers”). You could be in a romantic relationship with someone with a substantially different type (maybe only sharing a letter or two). Knowing your individual types could help you better understand how you both complement and challenge each other at times. We all can evolve over time (working on weaknesses in certain areas), but no type is necessarily better than another. They’re just different. Even among those sharing our type, we are each unique in our own wonderful ways. If you decide to take the test online (you can easily finish in less than 10 minutes), remember to answer honestly with your dominant tendency. Don’t answer how you think you should be, but how you tend to be. That doesn’t mean I can’t meet deadlines. I’m just a more open-ended person, and sometimes that kind of flexibility can be strength. Don’t obsess over a particular response on the test. Your first instinct is often the best answer, but you could double-check yourself at the end to be sure. 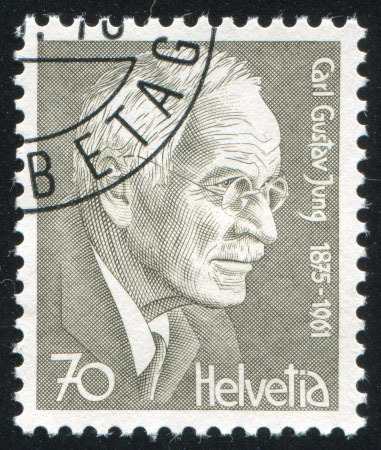 The Myers-Briggs Type Indicator was based on the typological theories proposed by world-renowned psychiatrist Carl Jung and first published in his 1921 book Psychological Types. But the actual test was developed later by Katherine Cook Briggs and her daughter, Isabel Briggs Myers. Their goal was to put these types to practical use during World War II as women were entering the industrial workforce at a fast pace. Myers and Briggs wanted to help women identify which war-time jobs would best fit their personalities. Their early survey evolved into the Myers-Briggs Type Indicator, which was officially published in the early 1960s. Since that time, it was become a widely accepted means of better understanding naturally occurring differences in how people perceive the world and make decisions. We each possess all of the dimensions in that list (it’s not purely either/or). But in each dimension, we have a dominant tendency. For example, I tend to be an introvert, even though I can be extroverted at times. It’s not a mutually exclusive classification. Although I enjoy being around people and engaging in social situations, that’s not how I recharge my battery. I need some alone time. According to the last test I took, I’m about 60 percent introverted/40 percent extroverted. On the intuition/sensing scale, I’m closer to 50/50. 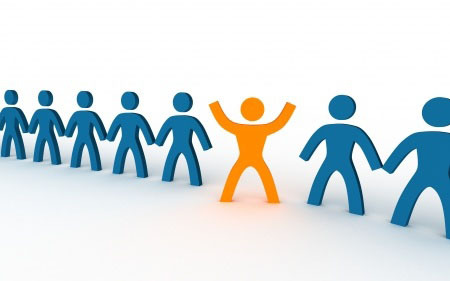 People who prefer extroversion draw energy from being active in the external world of action and people. However, those who lean toward introversion prefer to reflect before taking action. Introverts are thought-oriented, with their focus directed inwardly toward concepts and ideas. Extroverts, on the other hand, are action-oriented, directing more energy outward toward people and objects. Sensing (S) and intuition (N) relate to our information-gathering tendencies. Those who have a tendency toward sensing are more likely to prefer relying on information that they can perceive through the five senses (that which is tangible and concrete). These people don’t trust intuitive hunches (which seemingly come out of nowhere) quite as much. Those who lean toward intuition tend to be more comfortable with information that is abstract or theoretical and seems to fit into a bigger pattern. They find meaning in the theory and principles underlying data. Thinking and feeling relate to our decision-making tendencies, based on the information we receive from our information-gathering functions (sensing or intuition). Those who have a thinking preference tend to make decisions from a more detached viewpoint, determining what seems reasonable, logical, and best fits into a system of rules. However, those who rely on feeling in their decision-making process tend to empathize with the people involved in situations, determining what will achieve the greatest balance and harmony. They can be more sensitive to the feelings of others. People with a thinking tendency, however, tend to be more concerned with providing truthful, direct feedback than being tactful. It’s important to note that people with a thinking tendency don’t necessarily make better decisions or provide better analysis than feeling types. Likewise, those who are stronger feelers don’t necessarily have superior emotional responses than thinking types. People also have a preference for either judging or perceiving when relating to the outside world and approaching life. Do you prefer a more structured lifestyle (judging) or are you more flexible and adaptable (perceiving)? For judgers, everything has a place, and they like a plan to follow. They crave order. Perceivers, however, tend to be a little messier. I was once told by a past Reiki student, who is certified to administer the Myers-Briggs test, that you can sometimes tell whether people are judging or perceiving by the backseat of their cars (how much stuff is strewn back there). Do note that perceiving types can be quite capable of effective organization with some focus. Again, these categories are just tendencies. They’re not absolute. Both judging and perceiving are within each of us. People with a dominant judging function tend to like matters settled. But perceivers often hold out for a little more information, waiting for the right moment to make their decision or move. Sometimes they can wait too long. On the other hand, judgers might jump the gun in their rush to take care of business before allowing themselves time to enjoy play. Being a judging type doesn’t necessarily mean you’re more “judgmental” in a negative sense. But those with a judging preference may not be as comfortable with shades of gray as perceiving types. By considering the four categories above, you may be able to identify your type without even taking the test. But I suggest taking it online to be sure. Then you can read about your particular combination of letters (i.e. ENTJ) on several online resources (Wikipedia, etc.) for a variety of perspectives. Sometimes I can guess what someone’s type is once I’ve gotten to know him/her to a degree. For example, my friend Anthony has never taken the test as far as I know, but I can tell without a doubt that he is a classic ESFP. Anthony is a tremendous extravert (E). On any given Saturday, he’s got at least two or three social engagements lined up – perhaps starting with an art exhibit opening before heading to a dance performance and ending up at someone’s house party. He seems to know everyone and get invited to everything. He thrives on it! I can tell he’s a sensing type (S) because of his keen attention to environmental details. He could remember two days later what you were wearing at a dinner party. When he tells a story about a personal experience, he’ll provide the names of who was there, who they were with, how he knows them, etc., along the way to getting to his main point. He depends on his intuition to a significant degree, but the sensing tendency surely dominates. I can tell he’s a feeler (F) because he is very sensitive to others’ feelings when expressing his opinions and making decisions. And I know he’s a perceiver (P) because there is limited adherence to a strict schedule. If he’s supposed to come over at 7 p.m., it might be 8 p.m. before he finally arrives. I can also sometimes tell that he delays making decisions on social commitments until he’s aware of all the possibilities. ESFPs like Anthony are often referred to as “The Performer,” which fits my friend perfectly because he has an extensive background in theater, comedy, and dance. 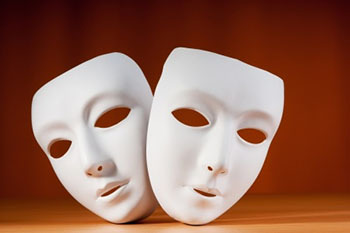 Here’s some of what personalitypages.com has to say about this type: “For the ESFP, the entire world is a stage. They love to be the center of attention and perform for people. They’re constantly putting on a show for others to entertain them and make them happy. They enjoy stimulating other people’s senses, and are extremely good at it. They would love nothing more than for life to be a continual party, in which they play the role of the fun-loving host…. While Anthony is undoubtedly a “Performer,” the one-word labels that are attached to the various types can be limiting. For example, not every ESFP would necessarily have any professional performing experience. Still, those short titles can be helpful in jogging your memory about deeper insights included in the longer descriptions of the 16 types. These types and their short/long descriptions should not be perceived as limiting in any way. Instead, they serve as a means of helping you identify your dominant tendencies – as well as identifying areas with room for improvement. You are not limited to any particular career as those type labels might suggest. 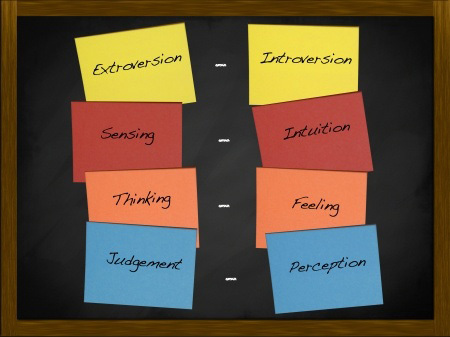 There can be a lot of cross-over among personality types for the potential to excel at certain careers (teaching, healing arts, performing, leading organizations, etc.). For example, unlike Anthony, a lot of well-known performers are actually introverts when they’re out of the spotlight. The goal of the test is not to pigeonhole yourself, but rather to gain deeper understanding of how you tend to fit into the world. The descriptions of these 16 types aren’t going to be one-size-fits-all. Just draw from them what seems meaningful to you. You can take a slightly condensed version of the test online for free on the HumanMetrics Website. If you would like to have it professionally administered in a more comprehensive way, you can search the the Myers-Briggs Practitioner Network to find a tester in your area. If you find after taking the test that you’re close to 50/50 on one of the four dimensions, you might read about another type that you’re close to for an expanded perspective (for example, a mix of ENTJ and ESTJ). While I’m an INFP, my score isn’t too far from ISFP (my artistic side). It’s sort of like being on the cusp of another astrological sign. You could learn from both descriptions to see which parts fit best. How interesting I am thoroughly enjoying your website. As a fellow INFP this is really given me- good reminders along with other areas of interest to pursue. Kudos to you for the inspirational format you provide. Thank you for walking your path with such open honest integrity.